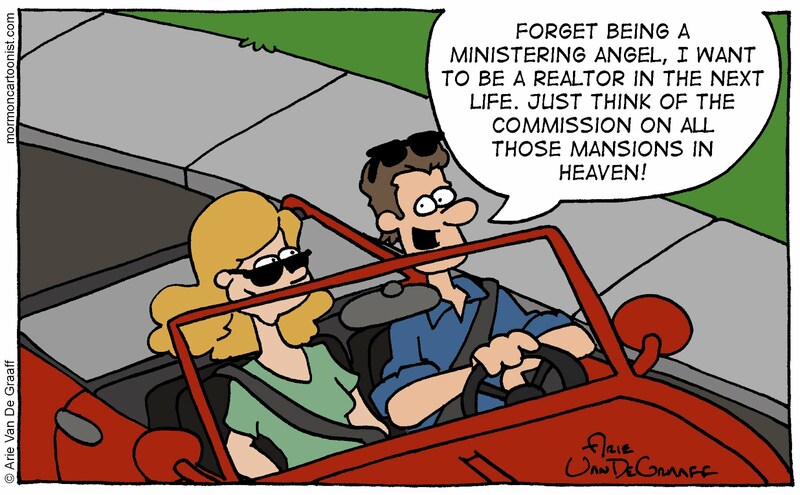 I've got nothing against realtors,* so this joke isn't directed towards them as much as it is towards annoying guys in convertibles who want to get rich in heaven. 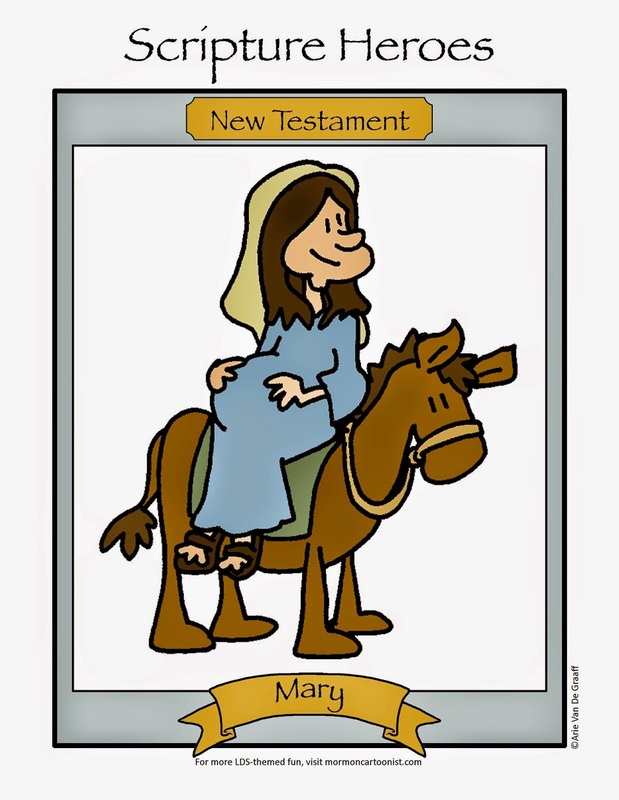 At the risk of turning this blog into nothing more than an infomercial for fellow Mormon Cartoonist Kevin Beckstrom and his work, I'd point out that he's got an entire comic strip dedicated towards the afterlife. His once-a-week Good Heavens is just one of nine comics he posts to the web every week. Seriously, the guy's output puts me to shame. *Except that they insist on capitalizing the "R" and stick the little ® after their name--so, yeah, maybe I do have something against Realtors®. 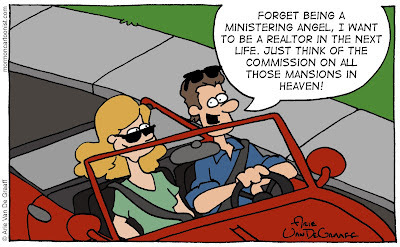 This is the second comic you've done about realtors, the first being that one about "the large and spacious buildings" not selling in Utah. You really do have something against realtors. And there's plenty of room for more Realtor jokes. Remember the parable of the house built on sand? Surely there's something you can do with that. Arie, I know a few REALTOR® jokes too! Also, next time I run into you at the Capitol, I can happily explain the difference between a real estate agent and a REALTOR®. Man, I was worried I might tick off some of my Realtor® friends. Fortunately, I waited until we sold our old house before I posted this one.